God is in form. God is not formless. 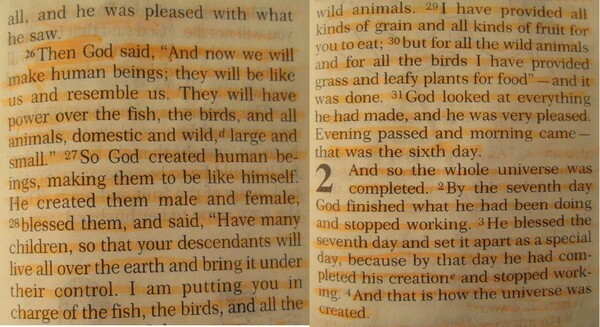 1:26 - Then God said, "And now we will make human beings; they will be like us and resemble us. They will have power over the fish, the birds and all animals, domestic and wild, large and small." 3:8 - That evening they heard the Lord God walking in the garden and they hid from him among the trees. 3:9 - But the Lord God called out to the man, "Where are you?" 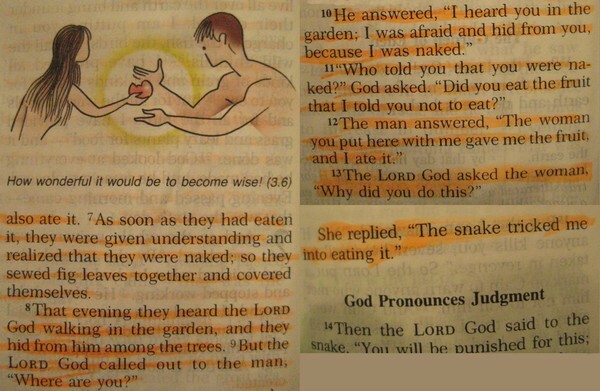 3:10 - He answered, "I heard you walking in the garden; I was afraid and hid from you, because I was naked." 3:22 - And Jehovah God made long garments from skins for Adam and for his wife, to clothe them. 18:1 - And the LORD appeared to him (Abraham) by the oaks of Mamre, as he sat at the door of his tent in the heat of the day. 18:2 - He (Abraham) lifted up his eyes and looked, and behold, three men were standing in front of him. When he saw them, he ran from the tent door to meet them and bowed himself to the earth. ​18:4 - Please, let a little water be brought and have your feet washed; then recline under the tree. The lines above clearly describe the Lord God walking in the garden which Adam and Eve can hear walking and thus they hide themselves. The Lord God also appears before Abraham who then bows unto them. Moreover Abraham requests God's feet to be washed and then God reclines under a tree. Abraham even brings a piece of bread for God to eat. No wonder the Lord God is in form as he talks, walks, meets, eats and can be seen. He also reclines and has feet which can be washed. Therefore the Lord God rightly said in the beginning that he created man in his own image. This clearly proves the Lord God to be in form.